What does dental prosthetics do for us? The modern dental prosthetics allows us to choose a wide selection of materials and technical solutions in the development of appropriate prosthetic tooth replacement. The solutions that we can offer to our patients, depending on their desires and needs, are certainly the best solutions for their future dental allowances that will last for many years. 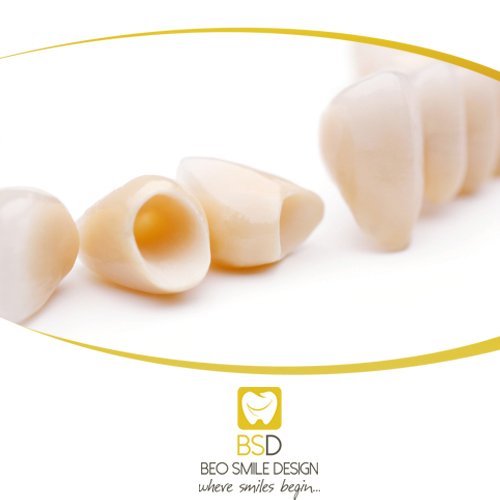 Standard solutions are metalloceramic crowns. These are dental compensations that have the basis of metal coating (Co, Cr, Mo) and alloys of gold. These crochets are made for many years and are a common solution in rehabilitation of patients. What definitely has become a new standard in dentistry, and what we can offer to our patients are non-metallic crowns. They do not contain metal, they are made of full ceramics, they have maximum aesthetic effect when it comes to the color and naturalness of the tooth, they do not produce any allergic reactions, they do not release negative metal ions that can break the gingiva of teeth and influence negatively on the human body and as for the time being, these are the best esthetic and functional solutions that a patient can get. Non-metallic ceramic crowns are made by the most up-to-date CAD / CAM technology that provides maximum quality and precision in making dental supplements.